1. Do we need a regex? First and foremost don't overuse them, specially when you can use simple string operations. Regular expressions are like a particularly spicy hot sauce – to be used in moderation and with restraint only when appropriate. match() checks at the start of a string and returns None if nothing is found. search() moves up the string, looking for the first occurrence of the given pattern, and returns None only if the pattern occurs nowhere in the string. 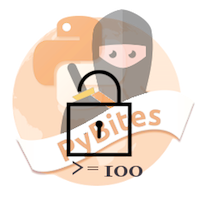 The solution is to use Python’s raw string notation for regular expressions; backslashes are not handled in any special way in a string literal prefixed with 'r', so r"\n" is a two-character string containing '\' and 'n', while "\n" is a one-character string containing a newline. Regular expressions will often be written in Python code using this raw string notation. Regexes can be complex enough, use r'' and take escaping out of the equation. 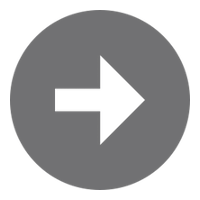 html = """<div><p>Today a quick article on a nice caching module when working with APIs.</p><p>Read more ...</p></div>"""
See also 8/re.sub where we use them for string replacements. The course takes 6.841944444444445 hours to complete. >>> text = "Professor Abdolmalek, please report your absences promptly." See this table: apart from re.I (IGNORECASE), I don't use them often, but they can be very handy when your match spans various lines or working with other character sets. To go really deep: Mastering Regular Expressions is THE book on regular expressions, an awesome reference. Note though that language specific chapters include Perl/Java/.NET/PHP, not Python. Lookahead assertions: I have not needed those yet, but they have their use cases. They finally 'clicked' reading the example of the HOWTO. I hope you picked up something useful from this article. Use the comments below to share any cool regexes you use on a regular basis. To test your regexes you can use regex101 or this site for explaining how a pattern is being matched. See the Reddit thread for some other ones. Above HMTL examples are to show regex, but in real life you should use a parser (plenty of options), see also SO "You can't parse HTML with regex". regex 2017.02.08 is an alternative regex module, a superset of re.